New Delhi, Dec 13 (IANS) NDTV's 12-hour telethon to support the organisation's "Save Our Tiger" campaign, backed by Bollywood megastar Amitabh Bachchan, has managed to generate contributions of over Rs.4.86 crore. Campaign ambassador Bachchan, 68, along with NDTV's Prannoy Roy and Vikram Chandra highlighted the key issues of tiger conservation during the telethon. 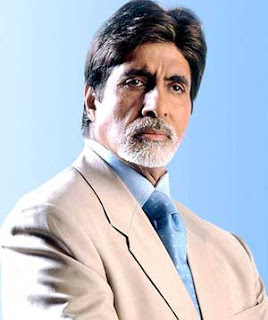 Investment banker Hemendra Kothari donated of Rs.2.43 crore, while Bachchan donated Rs.28 lakh. The megastar also auctioned his Cartier watch and two pairs of designer glasses which raised another Rs.845,000. "A year back when this campaign started, I felt honoured to be a part of it; and today I can see the efforts over the year bear fruit. The donations from this 12-hour telethon would be of immense help in providing the infrastructure required for consistent operations and activities in tiger conservation," Bachchan said in a press statement. Other well-known names like Bhaichung Bhutia, Abhishek Bachchan, Nitin Gadkari, Diya Mirza, Manish Malhotra, Soli Sorabjee, Priya Dutt too did their bit, as did industry chamber Confederation of Indian Industry (CII), and corporates such as Westside, said a press statement. Children of Hyderabad-based Chirec School raised Rs.220,000 for contributing to the campaign. According to Anish Andheria, director of Wildlife Conservation Trust, the funds raised through the telethon were sufficient to create and deploy 35 rapid response teams (RRTs) and cover all the 38 tiger reserves in the country that are home to 1,411 big cats.